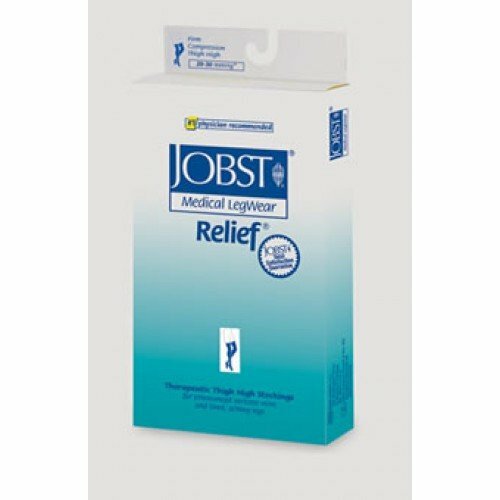 Jobst Relief Garter Style Thigh High Compression Stockings (No Grip Top) OPEN TOE 20-30 mmHg are great stockings for compression therapy. Relief by Jobst provides great quality and features the popular open toe design. Garter Thigh High Compression Stockings 20-30 help cover spider veins, skin blemishes, scarring, and help treat lymphedema. The extra fabric on the heel on these Garter Style Thigh High (No grip top) Compression Stockings, available for men and women, gives you greater durability. 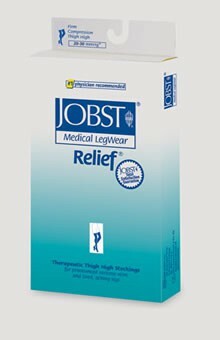 Jobst Garter Compression Stockings are specifically designed for people with CVI and DVT. Did not stay in place. Kept sliding below knee.